Dust off your mashie, buff your niblick, and iron your plus-fours! Enjoy 18 holes of golf on the Elkridge Club course. For the first year, the AIA Baltimore and BAF golf outings are combining for one spectacular game of golf. Registration opens at 11:00 am with lunch at 11:30 am. Bring cash for mulligans (just in case!). Golf attire required for all golfers: Collared shirts, no steel spikes. Bring out the seersucker and vintage hats and parasols for the lawn party! Starting at 3:30, we’ll have a number of leisurely lawn games like croquet and bean bag toss, and more! If you’re new to golf or want to brush up on your skills, join us for a golf clinic with the Elkridge Club Golf Pro. Revel in the sunshine and enjoy the grounds of the Elkridge Club. At 5:00 pm, the car show and cocktail reception begins on the Elkridge Club porch. The reception includes a full bar, including the club’s famous Southsides. 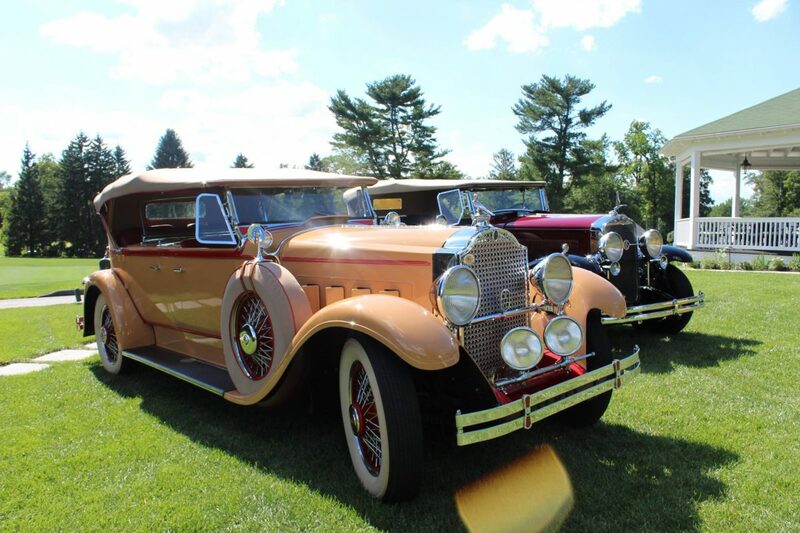 Rare vehicles from the Jazz Age to the present day will be on display. It’s the perfect way to spend a summer evening! Proceeds of the event will be donated to the Baltimore Architecture Foundation (BAF): a non-profit, educational organization that promotes public understanding and appreciation for Baltimore’s architecture and built environment, and AIA Baltimore’s outreach and education programs.